Eddie Burling is a brilliant yet emotionally impaired young man whose elaborate plan to make pretty Rebecca fall for him goes terribly wrong. 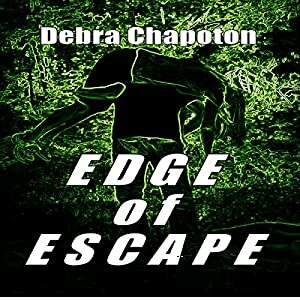 EDGE OF ESCAPE is a complex journey into the minds of both victim and predator. If you like fast-paced psychological thrillers then you’ll love listening to both the hunted and the hunter. Haven't joined Audible yet? Get one month free membership and enjoy EDGE OF ESCAPE at no cost to you.